Caffé Latte is not bad but a little bit more family oriented than the other cafés listed on this page. I like to sit in the corner and brood when I’m here. The coffee is of a high quality and they too offer great vegan options including a breakfast (9 euros) but in my opinion the breakfast at Kaffee Stark up the road is both cheaper and superior. The Karo Ecke is not my absolute favourite due to its substandard coffee and lack of vegan food options. But I still end up here quite a lot because it’s got so much character. 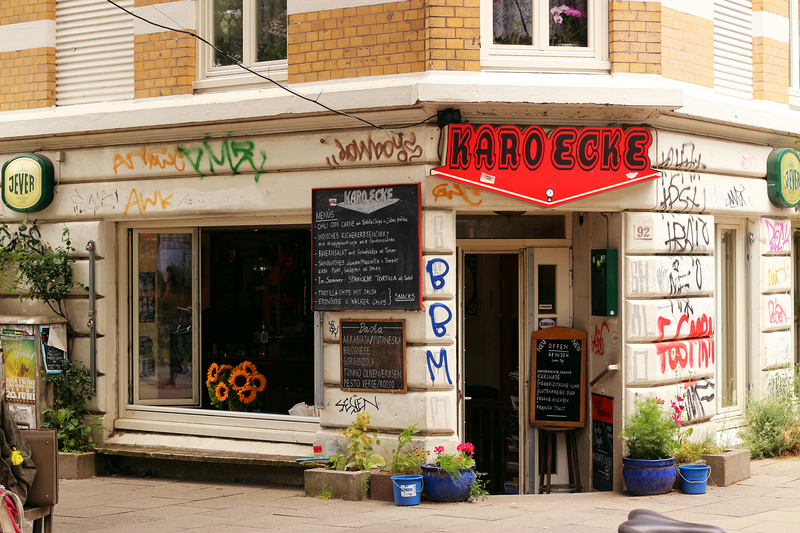 A storefront strewn with graffiti sitting on the corner in front of a pretty nice outdoor area that becomes a beer garden on Hamburg’s rare warm summer nights. 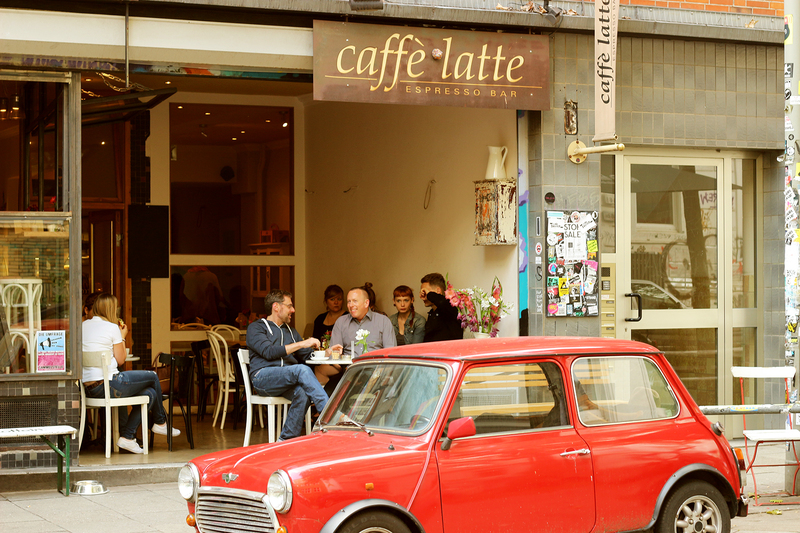 If you think the photo below looks like some kind of joke then this list of cafés probably isn’t for you. The string lights and swing chairs make it hard to go by and they do have an ongoing assortment of vegan cakes, just not much in the way of a meal.